It is that time of the year again where Zim Hip-Hop Awards (ZHHA) pays homage to talented hip hop artiste and all stakeholders who make Zim Hip-hop on the rotation. Some of the notable nominees include high riding Sharky and Takura who both in 2016 gave some of the most popular Hip hop heads a run. 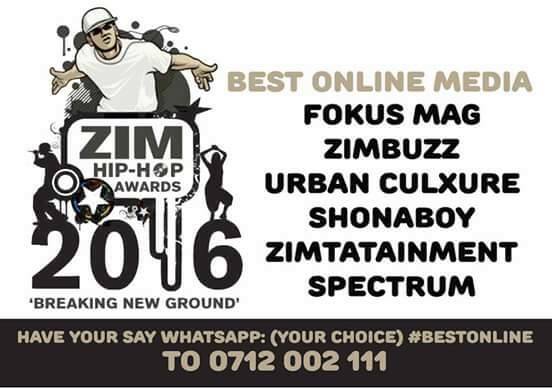 Bulawayo born Female rapper AWA,Jnr Brown ,Stunner, are among the the 2016 nominees. Public votes are only open as this year’s awards are to be determined by the public.